I am really enjoying playing along with SuperGorgeousOctober... I know I set the themes myself, but it's making me try things I wouldn't normally. 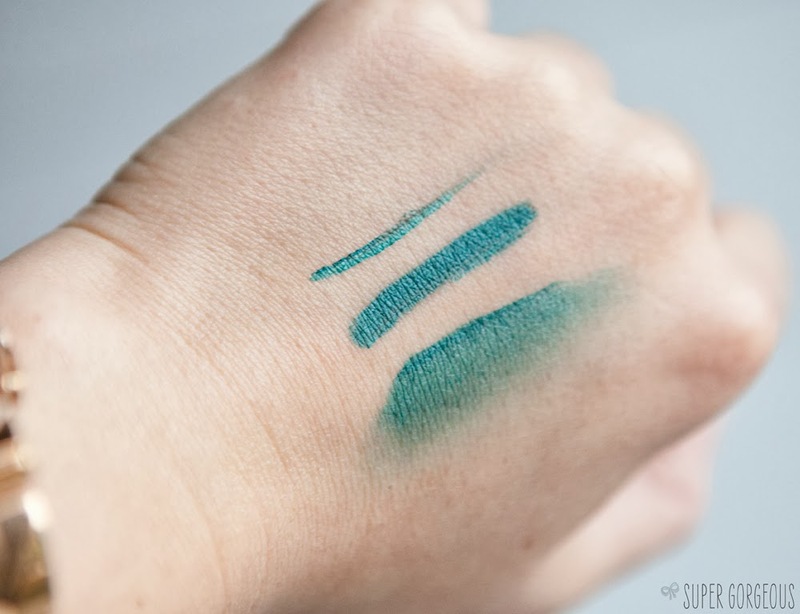 Like wearing a really bold green on my eyes. 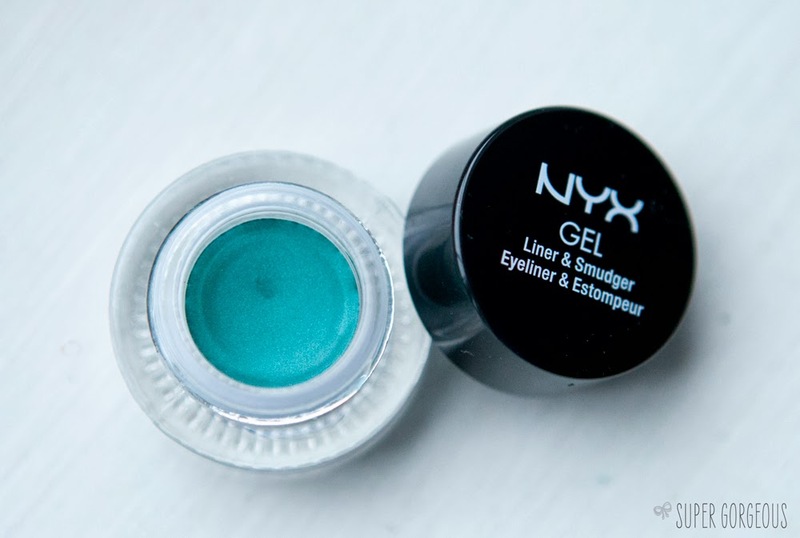 I'm normally a neutrals or smokey kinda gal - but today, the theme was green, so I dug out my NYX Gel Liner & Smudger in 05 Teal (Danielle) to have a bit of a play. 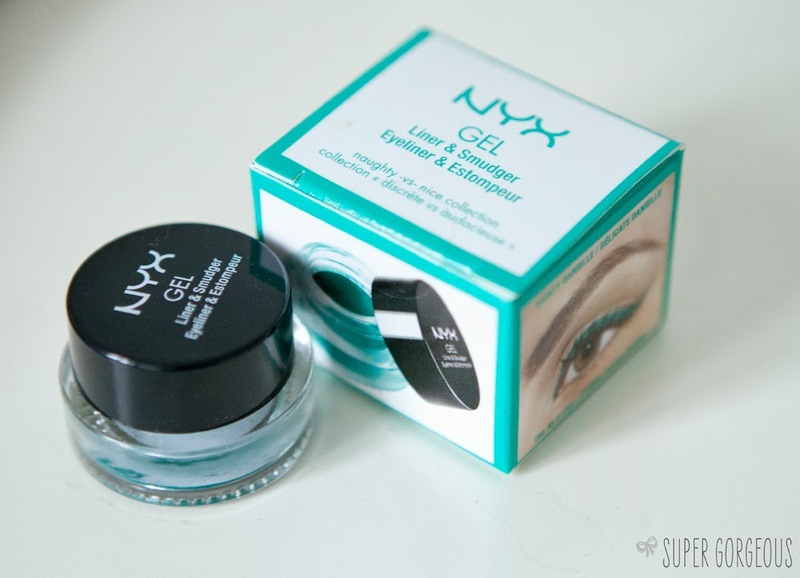 It's a really blendable gel eyeliner that you can use as a standard liner, or, as I wore it, smudged out to create an all over colour. It has a slight iridescence to it which really shines through once it's blended out giving a really pretty effect. I applied it all over my lid, then blended the edges out. I added a line under my eyes and smudged that too. I found it transferred a little under my eyes so next time I would set it with a powder to help keep it in place, but perhaps that's just my eyes. I added some MAC Vanilla pigment into the inner corners of my eyes - I think it goes so nicely with these greeny blue kind of colours... then added black liner to my waterline and finished off with black mascara. The green really makes brown eyes pop - I think I shall be wearing this more often. I'm really pleased with how it turned out. Would you dare to wear?! I love this colour. I really love the bolder colours on eyes, they make such an impression.